We came across some interesting news in Pit & Quarry recently about the increasing global demand for construction aggregates. According to the report, a study by The Freedonia Group projects that the worldwide market for construction aggregates will exceed more than 51 billion metric tons by 2019, recording growth comparable to that of the 2009-14 period. 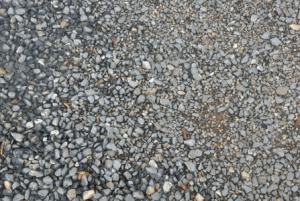 Crushed stone and alternative aggregates such as recycled concrete, fly ash and slag will expand at twice the pace of sand and gravel in the near term, the firm adds. The study analyzed the world construction aggregates industry and presents historical data (2004, 2009 and 2014) and forecasts (2019 and 2024) for demand in residential, nonresidential and nonbuilding sectors, as well as gauges demand by product (crushed stone, sand gravel, etc.) and by application (hydraulic concrete, asphaltic concrete, road base and coverings, etc. ), in six regions and 37 major countries. The group’s report also considers environmental factors, assesses industry structure, evaluates company market share and profiles global industry competitors. What’s causing the demand? Freedonia reports that upturns in housing markets of developed countries and rising personal incomes in developing countries will drive gains in residential building and the demand for modern housing. According to the study, higher personal incomes will spur demand for additional commercial, industrial and retail space, stimulating construction and, in turn, boosting aggregates sales. Global investments are expected in infrastructure, also adding to the demand for aggregates sales. Freedonia’s research also suggests that worldwide sand and gravel reserves are being depleted – partly through illegal sand mining – and reserves in many countries are expected to be depleted at a fast pace through 2019. The resulting price increases should have an impact on urban centers the most, where demand is highest for construction aggregates. Upticks in the U.S. construction industry will boost aggregate sales for North America, Freedonia predicts, while hydraulic concrete is expected to remain the largest application for construction aggregates through 2019, when it will account for fewer than two-thirds of global demand, the group said. Sales in concrete applica­tions will expand at an above-average pace, the report also suggests, fueled by gains in cement demand in all sectors of the construction industry. The study is available for purchase in its entirety for, but you can also download a summary here. At Rackers Equipment, we can help you keep up with the forecasted demand by offering the best used equipment to keep your mining, crushing and fracturing operations running strong. Check out our full inventory online now or call us today at 573-635-8700 to learn more.